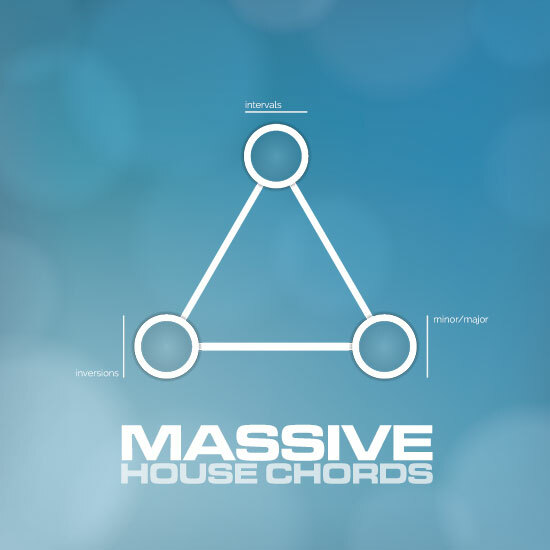 Massive House Chords is a collection of 100 new sounds for the Native Instruments Massive synthesiser - aimed for modern dance productions and contains stabs, intervals and chords for essentially every possible genre of house: Deep House, classic Chicago and Detroit House, Rave, modern triads for Progressive, Tech House and EDM. when we started this soundset we decided early on that we wouldn't utilize the overused chord/stab waveforms in Massive. Every single stab in this collection is built from the ground up, using all three oscillators and at times some dark magic tricks with the unison engine. Style: House, Deep House, EDM and Tech House. IMPORTANT - Massive House Chords is a soundset for the Massive synthesizer. This product requires a fully working copy of Massive to work. This is not a sample set. Please check out the FAQ before buying.